Quality buyers, new business opportunities and a still-growing domestic market: this was the consensus from participants as Cinte Techtextil China concluded on 6 September. The exhibitor and visitor numbers may have remained roughly the same this edition, but exhibitors all agreed that quality over quantity matters, and at the 2018 edition, this was certainly in evidence throughout the 4 – 6 September show in Shanghai. The nonwovens industry and anyone with an interest in technical textiles come together every two years at CINTE in Shanghai, China. In 2018, the subsidiary of the German textile trade fair will take place from 4 to 6 September. 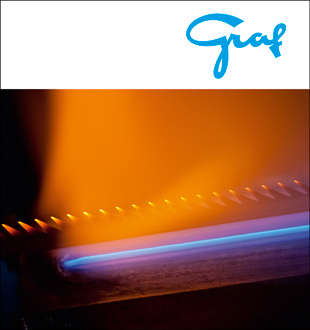 Numerous companies will be presenting their product innovations – including Groz-Beckert. The leading worldwide provider of industrial machine needles will be represented at CINTE with its extensive product portfolio and range of services in the fields of Felting and Carding in Hall N1, Booth D 01. Asia is one of the most important markets for needled nonwovens. For this reason Dilo, leading supplier for needlefelt production lines, will present its products and developments at this year’s CINTE Techtextil (hall N1, booth D08). As the countdown to the 2018 edition of Cinte Techtextil China enters its last two months, the final exhibitor line-up is starting to take shape. A number of leading international and Chinese brands across the fair’s 12 product application areas will feature at the Shanghai New International Expo Centre from 4 – 6 September, with an expected 500-plus total exhibitors from around 20 countries & regions set to feature. Leading German machine builder for automatic weft straighteners and online quality control systems Mahlo GmbH + Co. KG is showcasing at upcoming CINTE Techtextil from 4 to 6 September in Shanghai. The show is the daughter show of the well-established Techtextil in Germany and is considered to be one of the most important trade fairs for technical textiles and nonwovens in Asia. Asia’s largest biennial event for the entire technical textiles and nonwovens sector will feature some of the industry’s biggest overseas machinery brands. Held on the earlier date of 4 – 6 September this year, the fair will feature an expected 500-plus total exhibitors from around 20 countries & regions. Exhibitors from eight countries have already confirmed to participate in the fair’s European Zone. They join an expected 500-plus total exhibitors from around the world. The 2018 edition of this biennial fair takes place from 4 – 6 September in halls N1 – N3 of the Shanghai New International Expo Centre.